Seeing-eye dogs and/or assistance dogs are allowed into El Paso County Coliseum Events Center. No other animals are permitted. To ensure that your fellow Rhinos fans do not miss any of the action on the ice, El Paso County Coliseum Events Center staff may ask fans to wait at the top of the aisle until the puck is out of play or until a break in the action. There is one automated teller machine (ATM) on the main concourse, located behind section I. It is operated by County Coliseum and carries a $2.50 service charge. To maintain the ice, the arena is kept cool. Remember to dress warm! Children 2 years of age and under are not required to have a ticket to enter El Paso County Coliseum Events Center. Strollers are not allowed into the building during games. - No adhesive backed (stick-on) decals or similar items may be distributed or used in the building. 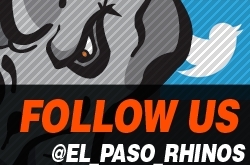 - No fliers or handouts will be distributed outside or inside the facility without prior approval from the El Paso Rhinos Management. - No posters, playbills or any other signage can be taped, stapled or affixed to any surface in the building. - While signs are allowed into the arena, any sign attached or affixed to anything is not allowed. Also, signs must not obstruct view by being held up during play and may not have or contain abusive or offensive language. Signs may not contain commercial messages. Equipped with handicapped stalls in every bathroom, there are also two family bathrooms in El Paso County Coliseum Events Center in the main concourse. The El Paso County Coliseum Events Center Box Office is open gamedays one hour and a half before game time. The El Paso County Coliseum box office is open Monday through Saturday 11:00 am through 6:00 pm. The Box Office can be reached directly at 915-533-9899. For more ticket information, click here. If a game is cancelled due to weather or any other unforeseen circumstances, the game will be re-played at a later date and all tickets purchased for the game will be valid for the new date and time. The use of cellular phones and pagers is permitted at El Paso County Coliseum Events Center, provided such use does not interfere with other guests' enjoyment of the game. A concession stand is located on the main concourse, in the Rhino VIP Bar and on the Rhinos 5,000 square foot outdoor patio. Beer tubs are located on the west side stadium seating and on the Rhinos Outdoor Patio. All concessions are run by the El Paso Rhinos. The Rhinos are proud to say that 100% of the profit from the concession stands go to the youth hockey scholarship fund. 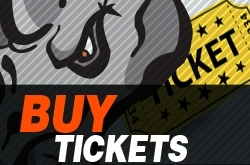 The Rhinos and Ticketmaster accept cash only for ticket purchases at the Box Office before the game. The Rhinos merchandise and concessions stands accept all major credit cards, cash, and checks. The doors to the El Paso County Coliseum Events Center open one hour prior to game time, which is typically 6:00 pm for a 7:00 pm start (unless noted otherwise) and 3:30 for a 4:30 Sunday start. Guests are encouraged to arrive early and enjoy food and drink specials and pre-game events and festivities on the patio. 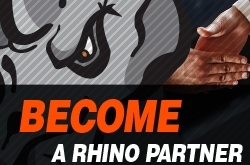 The Rhinos will post any employment opportunities on our website. There are NO refunds or exchanges once a ticket has been purchased. Letters to players and personnel should be addressed to the individual and sent to the Rhinos’ address listed here. First aid is provided by ProAction. In the event of an emergency, please contact a staff member, usher or security personnel immediately and stay in your seat. Fans are not permitted to bring any outside food or beverage into El Paso County Coliseum Events Center. If you have received a free ticket coupon, it must be turned into the Coliseum or Events Center Box Offices prior to game time. Seating is upon availability with free tickets. For questions regarding ticketing, call the Coliseum Box Office at 915-533-9899. Rhinos games typically last two hours and thirty minutes. Games are broken down into three twenty minute periods with two intermissions. Click here to view frequently asked questions about game entertainment. Home games start at 7:00 pm on Thursday, Friday and Saturdays and 4:30 pm on Sundays. Special start times will be noted. Promotional items or "giveaways" are available on select game dates to fans with a valid, paid ticket on a first-come, first-served basis. There is a limit of one item per guest. 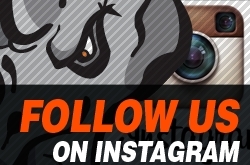 Check the Rhinos calendar for special giveaways and dates. Fans are allowed to bang or slap the glass as long as they use only their hands. No foreign objects may be used and fans may not sway the glass. Please fill out the form here for more information about group ticket sales. For the history of the organization, click here. The El Paso Rhinos play in the Western States Hockey League in the Mid West Division. The WSHL is a Junior A hockey league preparing players for NCAA hockey and other higher division leagues. Players are between 17 and 21 years of age. If you have lost something during a Rhinos game at El Paso County Coliseum Events Center, you can check the Lost and Found by going to the Rhinos Merchandise Stand or by calling the Rhino office. Should any tickets be lost or stolen you must contact the point of purchase where you received the tickets. Lost or stolen tickets purchased from El Paso County Coliseum Events Center Box Office or County Coliseum Box Office are not eligible to re-issued. At El Paso County Coliseum Events Center, the Rhinos’ Merchandise Stand is open on game days from 6 pm until the end of the game. During the season the merchandise stand is open by appointment only on non-game days. To purchase merchandise on a non-game day, please call the Rhino office at 915-479-PUCK (7825) or email info@elpasorhinos.com. 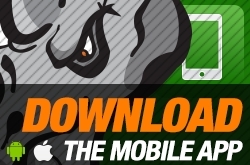 You can also visit the Rhinos' online store here. Parking is $5 at El Paso County Coliseum Events Center. Special VIP parking passes are available, for more information email info@elpasorhinos.com. No professional cameras or recording devices are allowed inside El Paso County Coliseum Events Center for Rhinos’ games. Cameras with detachable lenses or lenses that are longer than 3.5 inches will not be permitted without proper credentials. No flash photography is permitted at any time. The press box is located on the south side of the arena directly above the time keepers box. Only credentialed media personnel and Sundog’s staff are allowed in the press area. Press credentials may be obtained by members of the media who are affiliated with legitimate media outlets. For a media credential, please e-mail info@elpasorhinos.com. Programs may be purchased for $1 inside the El Paso County Coliseum Events Center. Fans may keep pucks that go out of play. Stay alert for pucks and sticks that can land in the seating areas and cause injury. Re-entry is not permitted at El Paso County Coliseum Events Center except for emergencies. Please visit an usher should you feel you have an emergency and need re-entry. Do so before you leave the arena. *Smoking is not considered an emergency. Please see the “Smoking Policy” for questions regarding smoking. To view hockey's rules, click here. 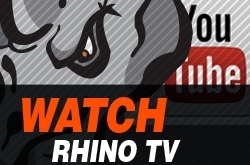 Please click here for the Rhinos schedule. For a seating chart, click here. Handicap seating and parking is available. Please click here for information on season tickets. There is no smoking allowed anywhere in El Paso County Coliseum Events Center, however, there is one designated smoking area located outside the east main door to the arena. To view a list of our sponsors, click here. 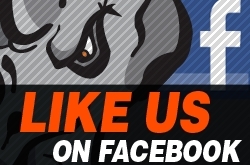 If you are interested in sponsoring the team or an in-game promotion, please email info@elpasorhinos.com. Will call is located at the El Paso County Coliseum Events Center Box Office. (See Box Office above). Want to be a Rhino? For information on the the team and tryouts, click here. For youth hockey information, visit www.elpasohockey.org.